Tonight's Wednesday review is a really fun book, Diary of a Beatlemaniac by Patricia Gallo-Stenman. 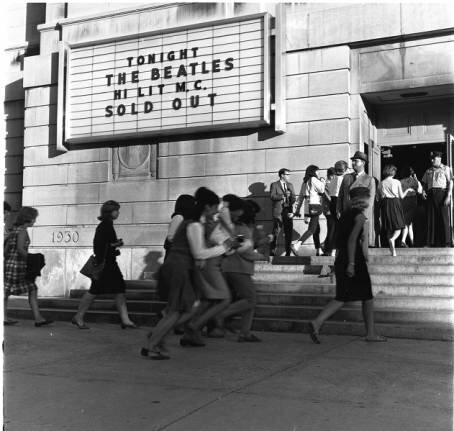 Pattie's book is a look back at her time as a Beatles fan in Philadelphia from 1964-1966. She uses entries from her diaries as well as the article she wrote for the Teen to Teen column for her local newspapers. Pattie went to an all-girls Catholic School and had a core group of Beatles Buddies that she shared her Beatlemania with. The book tells of her feelings of adoration for the Beatles, especially her beloved Paul McCartney. What makes this book stand out a little more than other books written by fans who remember their teenage Beatle years is that Pattie was such a professional. As a teenager, she was a journalist and wrote articles about the Beatles and other British groups. 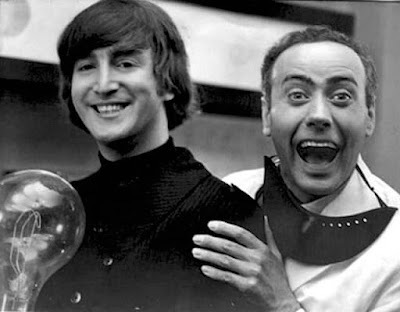 She also was the co-president of the Victor Spinetti Fan club. The story of how she and her friends got to befriend Victor and start the fan club for him is really a highlight in the book as well as the amazing gifts Victor send to the club! Ever wonder what happened to the famous fuzzy sweater? You will find out if you read this book. Diary of a Beatlemaniac is such a light-hearted and fun book to read. It is very much the same story of a Beatlemaniac with a fresh look at the subject. If you enjoy reading about the Beatles fandom in the early years, then this is a great book for you.